Activision web site visitors were treated yesterday to a preview of a page supposed to be launched later on this month. 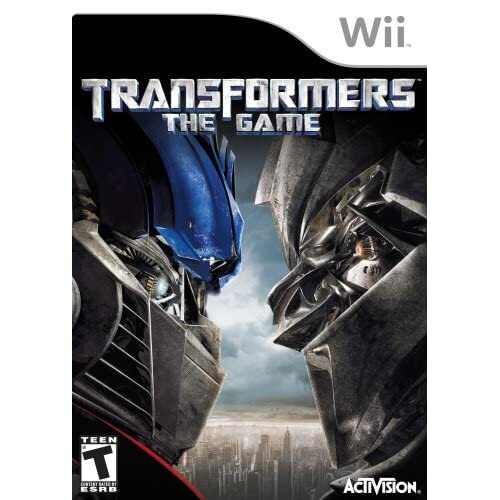 The site previews the game based on the upcoming movie Transformers: Revenge of the Fallen. The robots shown are called Skids and Mudflap. It is not said what role will these robots have on the movie. True or not, let's just hope that they do not pull a Jar Jar Binks with these two. Women are like internet domain names; all the ones I like are taken. Can you say Gay child friendly robots? ^ Agreed. Web masters aren't this stupid. Either your files are in an public directory - or they aren't. You must have not seen how completely terribad the first game was. I thought about that also, ever since the marketing teams found out about the buzz you could generate on the internet, "leaks" are an everyday thing. Either that, or it is difficult to find faithful employees these days. Mudflaps will be my favorite transformer, for obvious reasons.